Paper Tiger Plans and Pricing — Sign up FREE in 60 seconds! Find Anything in Your Office in 5 Seconds or Less...Guaranteed! A "Database" is where you store all of your information. Typically, you might use multiple databases for different businesses or entities where you want to keep the information totally separate. A "Location" is where you store your files (i.e. a file cabinet), it does not refer to where you can use Paper Tiger Online. You can use Paper Tiger Online from any web browser at any time. An "Item" is where you store your paper (i.e. a hanging file folder). You can store as many pieces of paper as you like in one file folder. Paper Tiger is not designed to be one piece of paper per file folder, just store paper as you do now with like things together. If you need to share information in your office, you will need a plan that allows more than one "User" to access Paper Tiger simultaneously. If you were a customer of the Desktop Version of Paper Tiger, you can use "Database Imports" to move to Paper Tiger Online. Are you looking for a paperless solution? Introducing for your digital files! Digital Tiger, powered by Google Docs, is available in Basic or Pro plans only. We also have a FREE FOREVER plan with 1 database/location/user and 25 items. The Network edition allows multiple users to share the same database on multiple computers. There is a server module installation and a client user module installation. You would need 1 license for every computer you install the client user module onto. All computers would need to be networked. You can find installation and technical documentation in this knowledge base article. 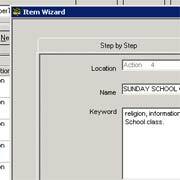 Administrator can set user access or edit permissions for the databases in the account. Can this edition be used to find my digital files? Including scanned PDFs, Word, Excel, PowerPoint, and other file types? "Yes! Using Digital Tiger, powered by Google Docs, you can find virtually any digital file type using the Paper Tiger Online search box. For a limited time, Digital Tiger is available for FREE to paid Basic and Pro customers of Paper Tiger Online." "No. Paper Tiger Desktop does not connect to Google. Users of Paper Tiger Desktop version can use Google Drive separately for digital file searches. 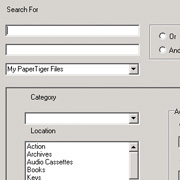 Or if you wish, you might want to consider moving to our Paper Tiger Online Pro edition where the Digital Tiger function will allow you to search from Paper Tiger Online for your physical items indexed into Paper Tiger and for your digital files in Google Drive." A database is a group of related locations, categories, & items. Paper Tiger Online uses databases to help you better manage your physical items by giving you options & flexibility. 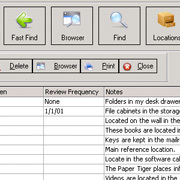 For example: You can use a HOME database to manage items at home, OFFICE to manage items at your office, etc. 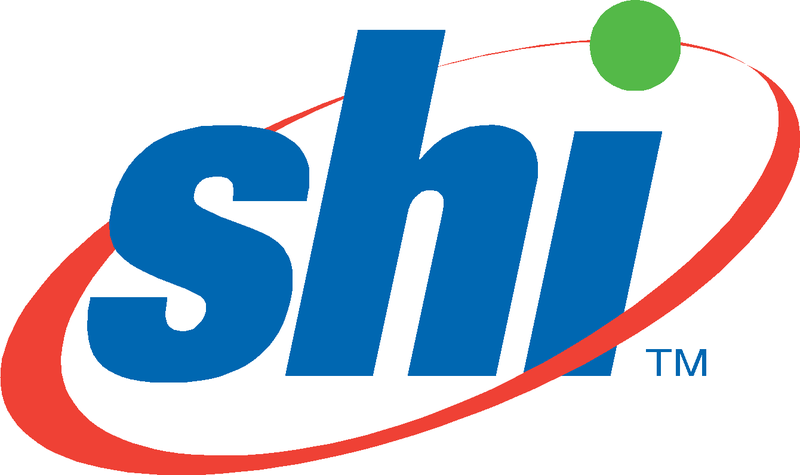 Is technical support provided in the price? Are all IT services provided in the price? Can I add other users to the same database & share the data (i.e. network)? Can I use the software from any computer, anywhere? Can I run the software on both Windows & a Mac? Are my files backed up & secure? Can I get a copy of my data sent to me at any time? Can I get a free account to test the software? What is a confirmation & why should I use it? Confirmation means, when you are transferring items (move, merge, duplicate), you want to verify the transferring item once again before it is actually transferred in Paper Tiger. Time-saving "Find First" feature (virtually eliminates duplicate files) Paper Tiger helps you minimize duplicate files by actively searching while you add a new item. You can choose to merge the new item with the item already in Paper Tiger or you can add the new item. It acts like a good admin! "Category" is a word or words you may use to classify groups of related folders or items. Paper Tiger allows you to file information physically one way, but easily organize files virtually in a totally different way using Categories. your paper tiger database has an additional optional column in the items table called "notes". notes are used to add additional information about your item, that you may not want to capture within your item name or keywords. Permissions are used to control the databases, locations & type of access that users have in the account. Database permissions can be assigned at the database level & at the location level. Permissions assigned at the database level, apply to all locations within the database. Read-Only locations gives the user READ ONLY permissions to the locations or databases they have been assigned. Reports options & customization - fonts, margins, etc. Paper Tiger allows you to print out a customizable & sorted index report to keep for your records & analysis. Reports are especially useful when it comes to cataloging or taking inventory of your storage locations as well as document management. Reports are designed to make life easier for you & can be taken with you. 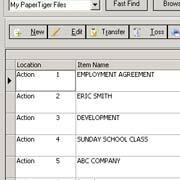 Paper Tiger currently offers four types of reports: Item List, Action Date, Transfer, & Cleanout. 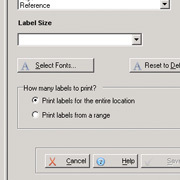 With Paper Tiger, you can print labels to help organize and identify your physical locations. Paper Tiger allows you to print AVERY labels and SELF CUT tabs. A Move transfer will move the item from one location to another. What is a merge transfer? We trust our state-of-the-art computer servers to DigitalOcean. DigitalOcean provides IT infrastructure to thousands of cloud computing customers such as Paper Tiger. DigitalOcean's guaranteed uptime of at least 99.9%, assures that Paper Tiger will be there for you when you need it. Our servers at DigitalOcean are in a highly secure environment that prevents physical access, there is complete redundancy and your data is professionally maintained and backed up. Our network is protected by a state-of-the-art firewall. In addition, even our free accounts provide SSL security (data encryption) to ensure your data gets to and from our servers safely. Currently we accept Visa, MasterCard, American Express and Discover. Yes, we gladly accept purchase orders (P.O.) for yearly plans, just contact us. At this time, we do not accept PayPal or Google Checkout. Why should I choose a yearly plan? If you pay for Paper Tiger a year in advance, you will get 2 free months of service. You pay for 10 months of service, but you get 12! This is the best value for your money. You can cancel at any time & take your data! If you Sign Up for a Paper Tiger FREE or PAID account, you can cancel at any time and you will not be billed further. You can also export a copy of your data when you like, just for safekeeping or if you cancel your account. We are a BBB Accredited Business, in business since 1995 and your 100% satisfaction is our goal. Internet Explorer 7 and newer. Can I see a comparison chart between versions? We have put together a detailed comparison chart to help you choose between Paper Tiger Basic, Professional, and Network. Currently we accept Visa, MasterCard, American Express and Discover. Yes, we gladly accept purchase orders (P.O. ), just contact us. At this time, we do not accept PayPal or Google Checkout. Monticello has always offered a 100% satisfaction guarantee on Paper Tiger desktop version of the software. If you are unhappy for any reason, you can return the software within 60 days for a full refund (less shipping and handling). In a world where with most software, "if you open it — you cannot return it", Monticello believes in total customer satisfaction with the purchase and you are covered — no questions asked. If you downloaded the software, you are covered by the same guarantee. System Requirements/Compatibility: Intel or compatible 1GHz processor; 1GB for Windows Vista, 7​, 8​, 8.1, Server 2003, Server 2008, Server 2012, 32 and 64 Bit Compatible; 512MB RAM; 1GB recommended; 685-965MB hard disk space*; CD-ROM; SVGA display. Application Updates: We will post application updates through the software's auto-update function and on our Paper Tiger Desktop Updates Page. Shipping: If we receive your order by 12:00 noon (Eastern Time) Monday through Friday, your order will typically ship within 24 hours (except for U.S. holidays). Orders are usually shipped USPS (United States Postal Service). See the shopping cart when you order. Also see the shopping cart for your exact shipping and handling charges. Once you order, you will be sent an email with a carrier tracking number, so that you can follow the progress of your shipment. If you have any problems receiving your order, first contact the carrier and then contact Paper Tiger customer service. Click here for our contact information. Purchase Orders: We gladly accept purchase orders from major organizations. Click here for our fax number and/or email address. FAQs: Click here to see frequently asked questions.